How do people actually model things? It’s all very good having the different tools demonstrated so you can see what they do, but what tools do modellers actually use in the real world and how do they use them? That question is what we hope to answer with this video from Alberto Blasi, an Italian architect with over a decade of Cinema 4D polygon modeling experience. 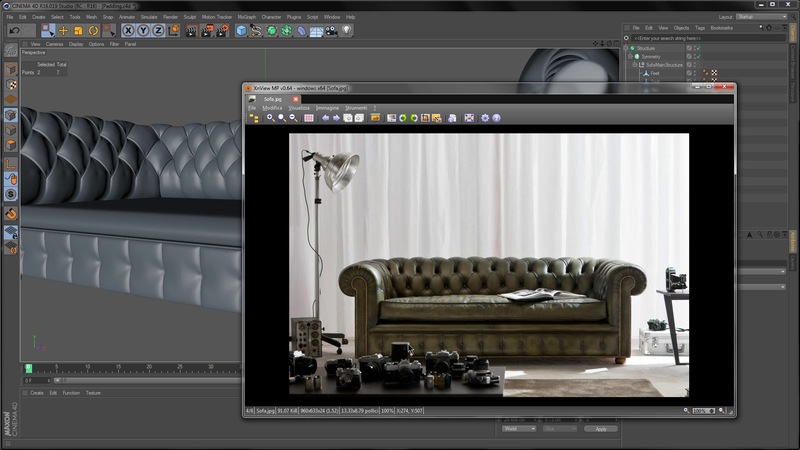 In this series of videos we have decided to take on the tricky task of modelling a luxurious Chesterfield leather sofa from Italian designers, Berto. With such a shape, we have to approach things a little differently; extruded splines and primitive shapes just won’t do when the subject is as organic as this. Over the course of 195 minutes, Alberto takes us through the process of using polygon tools to create almost everything with subdivision surfaces (that’s hyperNURBS for the old-timers). Through a clever combination of knife cuts, bevels and edge manipulation, you will learn how to achieve smooth meshes without any unwanted lumps, bumps or stretching. Although we have made these videos with R16 Studio, we should stress that we have made it as accessible as possible. If you don’t have the mograph tools, we still show you other methods to achieve the same results, if you don’t have the latest poly tools such as the updated bevel tool, we have included alternatives to reach the same model. Compatible with Cinema 4D R16-R19, total video length is 3 hours.